Golf course architects get judged by what we leave behind. When you boil this down it appears simple enough. We leave behind our work—the physical creation of golf courses. We leave behind our philosophy—how we approached the art of designing golf courses; how we made them interesting, challenging, beautiful, fun and efficient. And we leave behind our unfinished business—in a profession where time seems to move quickly, but projects almost always seem to linger, months turn into years, years into decades, and then we are gone. These three parts of us—our work, our ideas and our dreams—are what is left for the new golf course architects to feed upon. But, is there more? Yes, I believe so. All of us will also leave behind a ‘box’ full of small stuff. None of the things in this box will approach the impressive scale of a golf course. None of it may seem as important as our ideal of what makes the perfect golf experience. And, surely, none of it will be as big as our dreams. Inside this box will be a collection of things. Odds and ends, and bits and pieces. These are the things that make us who we are. Together, the collection of stuff in each of our boxes is likely to be even more influential than all the great courses, all the great ideas and all the great dreams we leave behind. This stuff is us … Our smile, our wit, our respect, our passion, our ethics—and perhaps most notable—the way we went about treating people. Jack Snyder’s box was full of good stuff. He was never too busy to help. He was always eager. His time was your time. He gave it away freely, knowing that it could mean so much more to others than if he were to keep it to himself. Jack was so polite it was often frustrating. (When we traveled together Jack would almost always order whatever I ordered at a restaurant, figuring it would save the waitress some time. Once I decided to challenge this habit and ordered extra spicy chili, a side of jalapeños and a raw onion. Jack looked up from his menu and quietly said he’d have the chili, too, “But could you put my jalapeños and onion on the side?”) Jack was polite, kind and—there is simply no better description—good. Jack was a good man through and through. Jack was never looking for attention or praise, but he beamed when he got it. 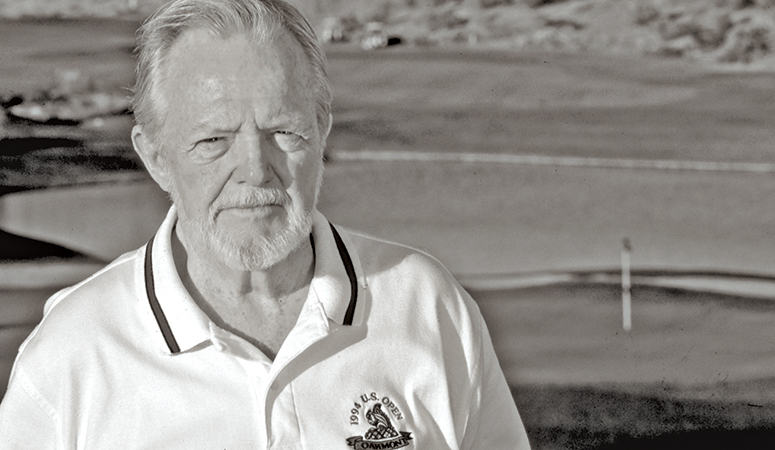 He was a proud man, not only of himself and his courses, but especially of others, his family and also his ‘family’ at the American Society of Golf Course Architects. He enjoyed sponsoring new members. Jack wanted to make sure you knew your stuff, but he never believed in closing the door to new blood. How else do you explain his willingness to meet and mentor a 13-year-old kid on a bicycle as he did with me back in 1974? 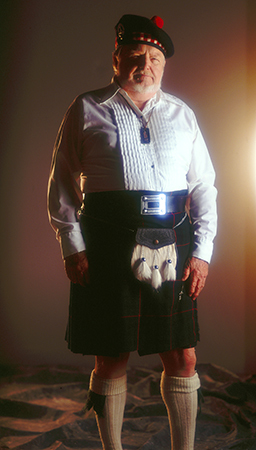 When Jack was indicted into the Arizona Golf Hall of Fame he thanked everyone for coming and spoke of his appreciation for being introduced to the game of golf by his father. That was Jack. Thanking others and being humble. Reflecting the spotlight back out. and how well liked. And each of us knows how we go about our work—closing deals by reciting design philosophy, talking about strategy and proposing the top ten reasons to hire us instead of … well, anyone else. Finally, one day, we realize that not all of our dreams will be fulfilled. Somewhere near the end each of us will look for our box—that box full of odds and ends. We will realize that this box has been filling up as we concentrate on bigger things. It is then, as each of us look into our box, that we will reflect back to those who are no longer with us. To see more than what they left behind in terms of golf courses, to appreciate what they left for us to use as we journey through this wonderful life. What’s in your box? Well, even if you did not know Jack, hopefully it is enriched in a small way by some of what I have shared with you. Jack Snyder would enjoy any one of us taking whatever it is that we may need from his box, and placing it in ours. I know he would. Arthur Jack Snyder died February 12th, 2005. I wrote this on my flight home from Florida, just a few hours after hearing the word that my mentor had passed away at the age of 87.